from his month-long visit to the University of Cape Town (UCT) in Cape Town, South Africa. 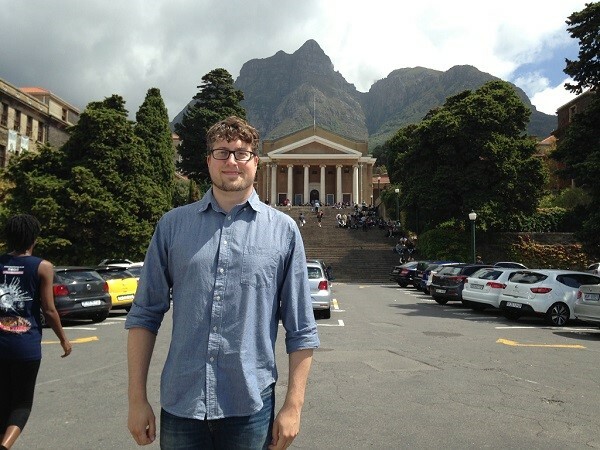 While there, Grant gave an invited talk to faculty of UCT's Center for Research in Engineering and Science Education. His talk was titled: "Making through Caring, Caring through Making: Exploring the Ethical Becoming of Architecture/Interior Design Undergraduates within Courses Utilizing Community-Engaged Pedagogy." He also explored potential international opportunities for IUPUI STEM faculty through UCT's International Academic Programmes Office. Undergraduate Researcher Melanie Schieve is listed as a Student Leadership Winner for the School of Science. Undergraduate Researcher Melanie Schieve has been named to the IUPUI top 100 for 2017. The top 100 recognizes IUPUI's top juniors and seniors. Melanie was also in the top 100 during her junior year when she was one of 3 juniors to be included in the top 10 females for IUPUI. SEIRI at IUPUI is pleased to announce the 2017-2018 SEIRI Seed Grant (SSG). The goal of this competition is to facilitate and support STEM education innovation and research by growing the body of Discipline-Based Education researchers at IUPUI. Submission deadline: May 15, 2017. This session will focus on the NSF Research Experiences for Undergraduates (REU) program which supports active participation by undergraduate students in any of the areas of research funded by the National Science Foundation. The next submission deadline is expected to be August 23, 2017. The IUPUI Honors College is proud to showcase the Research, Creative Activities, Scholarship, and Engagement of its Honors Scholars. Facilitated by SEIRI, this webinar is designed to help faculty consider best practices for course evaluation. This session, hosted by the Office of the Vice Chancellor for Research, will introduce interested students to the National Science Foundation (NSF) Graduate Research Fellowship Program (GRFP). AAAS and the National Science Foundation invited you to participate in a 90-minute proposal preparation webinar for the NSF Noyce Teacher Scholarship Program. The webinars will be presented by NSF program staff. Proposals are due on August 29, 2017. The ASBMB Special Symposia program was established in 2003 to provide specific or under-represented segments of the scientific community with opportunities to present unique, cutting-edge science and engage in active networking opportunities. The STEM Education track still has availability to incorporate a few more presentations. There is a link to a "Call for Proposals" forms that presenters can fill out and email in until the track is at capacity. The STEM Education Innovation and Research Institute at IUPUI is pleased to announce the 2017-2018 SEIRI Seed Grant (SSG). 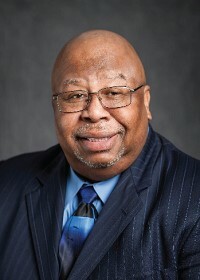 The goal of this competition is to facilitate and support STEM Education Innovation and Research by growing the body of Discipline_Based Education researchers at IUPUI. Full Proposal Deadline Dates:July 19-21, 2017. Dates vary by directorate. Teaching Undergraduate Science: A Guide to Overcoming Obstacles to Student Learning, by Linda C. Hodges. Published by Stylus Publishing, LLC 22883 Quicksilver Drive Sterling, Virginia 20166-2102. Gentile, J., Brenner, K. & Stephens, A. (2017). Undergraduate Research Experiences for STEM Students: Successes, Challenges, and Oppportunities. Washington, DC, National Academies Press. Washington, DC, The National Academies Press. Congratulations to all the students in the Top 100, but especially to the 51 who are STEM majors, with half of them being Peer Leaders. This is a great testament to the professors, students, and IUPUI.